There is a creative, intelligent, and resourceful woman in Burkina Faso with a great business plan, looking for the capital to become an entrepreneur. She presents her plan to WITLI’s Burkinabé coach who partners with her to refine and strengthen the business plan. When you fund a Pay It Forward loan, a woman is empowered with the capital she needs to start her own business, receiving a 0% interest loan. As she pioneers her business, her coach continues to walk alongside her, equipping and empowering her to overcome self-identified weaknesses. Every month the women meet with their coach and make their payments according to their plan. The monthly update allows them to talk through their successes and seek counsel on improvement. Once the loan is repaid in full, the money recycles to fund and empower another woman. We are getting ready to start the sewing school. 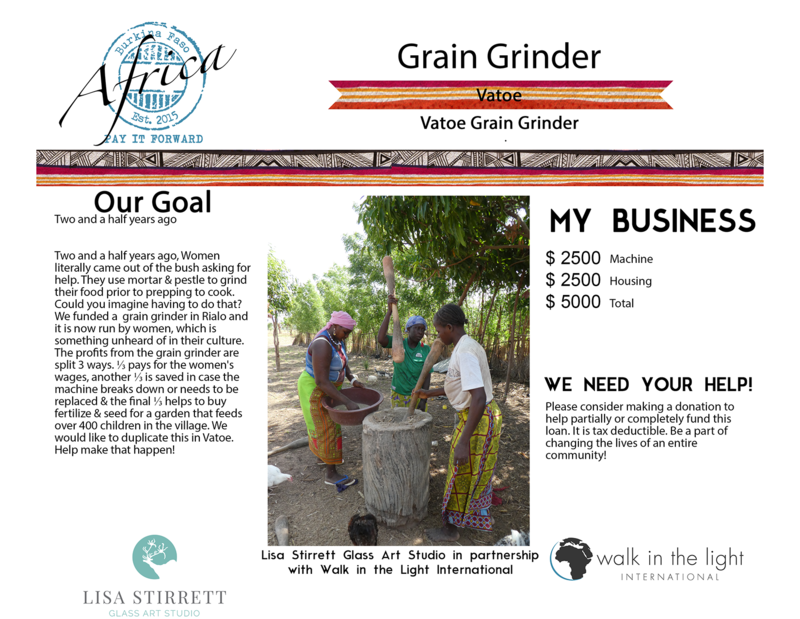 Will you join us in providing this opportunity to women in Burkina Faso.